White is a very popular color here at the beach, but did you know there are probably more shades of white than any other color out there? And believe it or not, the hue you choose will dramatically alter the look and feel of the room you paint it with. Just like other colors, whites come in varieties of warm and cool shades, emanating from a particular base color, such as blue, red, green, purple, yellow and orange. To decide which direction to go in, think about the furniture and design elements already in the room and go from there. For rooms that are predominantly decorated with cool shades, like blue, select a white that also has cool undertones. 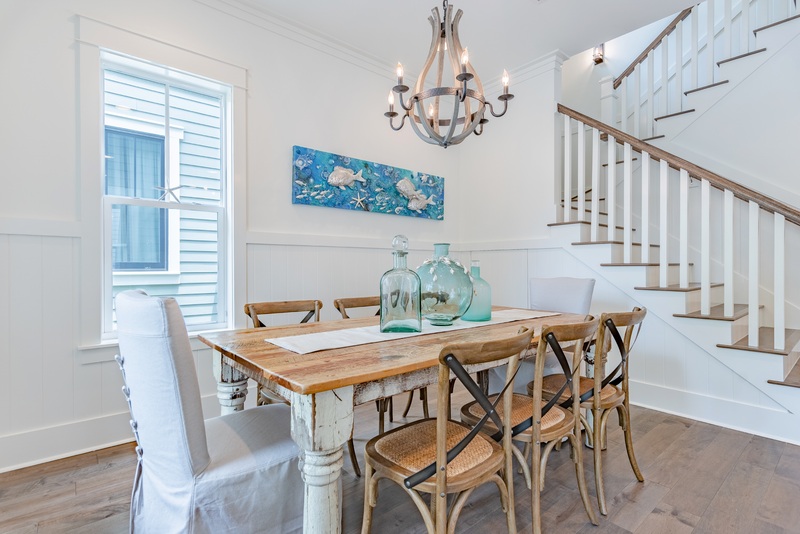 According to Sherwin Williams, cool whites go great with deeply saturated colors found in upholstery, carpeting or artwork, offering sharp contrast and a clean look. They also play well against rooms with a lot of natural light, offsetting the warmth such rooms are basked in. If your room has a lot of warm furnishings and natural materials, such as wood, a white with a warm undertone based in yellow or red is probably your best bet. Warm whites help create smooth transitions from room to room. Pure, bright white will work in any style room - modern, traditional, rustic or even a combination of design themes. Pure whites contain the least amount of undertone, so they'll support any contrasting color you choose, making it stand out and pop to the fullest extent. As with any paint project, painting a sample before committing to a color is even more important when choosing a shade of white. While the white you choose may look one way during the day, the undertones will come out at night and potentially reveal a shade you didn't have in mind at all. Also consider searching for shades of white online as opposed to paint chips at the store. Comparing whites side by side online at paint brand websites will give you a better idea of the differences in their tones. If you need some help selecting just the right white for your interior design project, connect with me and I will help you!